Okay, problems with notifications are nothing new. But when it’s Facebook that’s giving you a notification problem; it easily becomes YOUR PROBLEM. The situation is common enough: when people comment on your FB messages, updates, and status, you end up getting repeat notifications of those comments. This repetition occurs multiple times over many days. And it’s annoying, almost to the point of wanting to close out that darn FB account! Some readers report that they get well above 20 notifications for each “real” notification. And others tell us that they’ve seen upwards of 80, even as high as 200 repeated notifications–all for the same FB event! If this situation sounds like you, you are not alone. 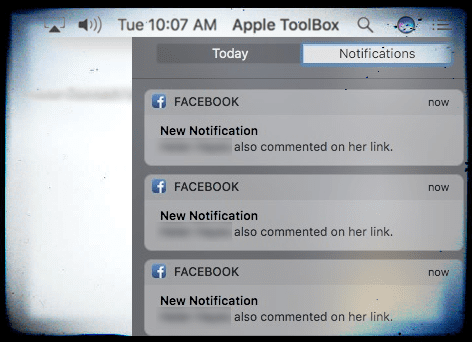 Most of us routinely use Facebook notifications on our MacBook and usually these notifications work as intended. There are however times when Facebook’s notifications display erratic behavior. One of the more common complaints when Facebook Notifications keep repeating over and over again. 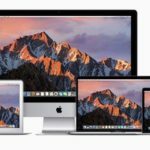 This particular issue appears to primarily impact readers who upgraded their MacBooks to macOS Sierra 10.12.1, but it occurs on all macOS and MAC OS X versions and all types of Macs, not just MacBooks. 3.1 Still Having Problems with Facebook Notifications Keep Repeating? First, you get to Notifications via your System Preferences. So click on the Upper-Left Apple Logo and choose System Preferences. There you find Notifications. 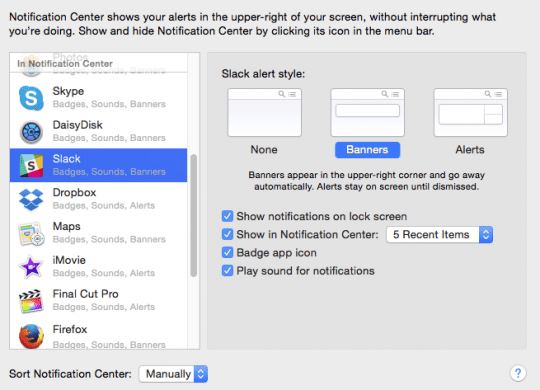 The Notifications Pane in System Preferences provides overall control of how the system works. On the left, you have a list of apps that can display statuses in notification center. 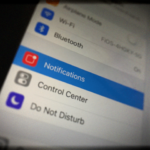 When you click an app on the left, you can control the behavior of its notifications. Banners appear briefly on the top right corner of your screen when activated. Alerts appear in the same place on the screen but remain persistently until dismissed. You decide if an App displays things on the sidebar and how many items appear. 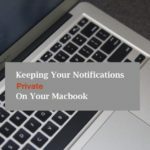 Apps show notifications on your Mac’s lock screen. Review these settings for all apps to keep private stuff under wraps. Some apps, including Mail, let you hide notifications or just message previews. This fix doesn’t cure the problem, but it does provide relief! Try these quick fixes out and wait a few days, weeks, or until the next macOS update to revisit and see if the problem is fixed or gone. So for the meantime, turn off notifications for Facebook. Go to System Preferences > Internet Accounts > Facebook. Uncheck the Notification checkbox. That’s it. You won’t receive ANY notifications from FB. 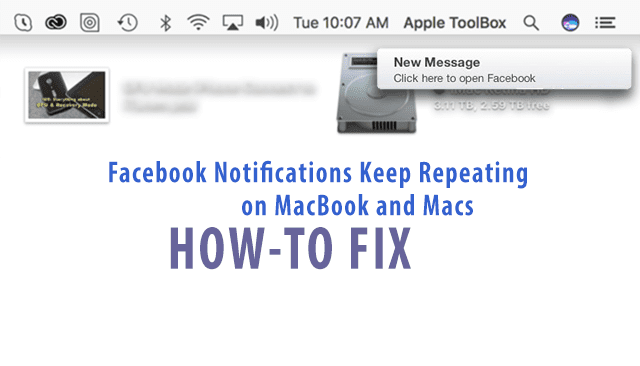 These simple five steps should help you resolve this issue on your Mac or Macbook. Still Having Problems with Facebook Notifications Keep Repeating? If you are still experiencing this issue, delete all the Facebook related items from your keychain, change your Facebook password and then try setting up the account back on your Macbook. Our reader Wolfen discovered another fix that worked! If the above tips didn’t work for you, give Wolfen’s suggestion a try. In this process, Wolfen discovered that Facebook kept all his old sessions active. In fact, he had 67 active “Apple OS Integration” Sessions. And you get a notification for every single one of them. 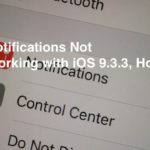 If you use iDevices and cleared everything under the “where you’re logged in” tab, make sure you put in your credentials on those devices again. We hope these simple steps helped you in fixing the issue of your Facebook Notifications repeating. Please let us know in the comments below if there are any other tips that you would like to share. Wolfen, thanks for your solution. This was the only solution that ended up fixing the problem for me. Appreciate your help with this stubborn issue! 1. disable all facebook related notification settings in system settings -> notifications. 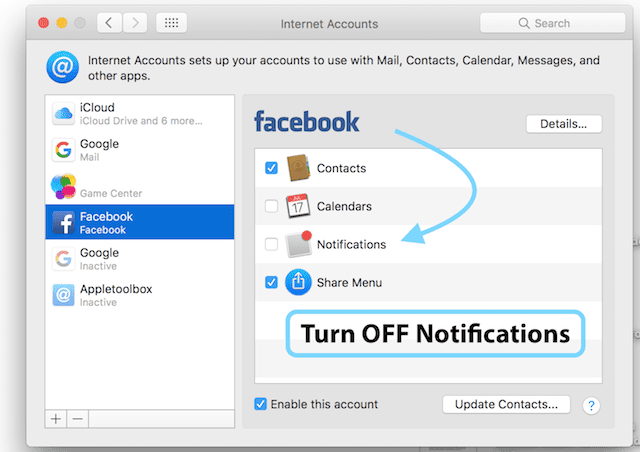 2. remove your facebook account from system settings -> internet accounts. 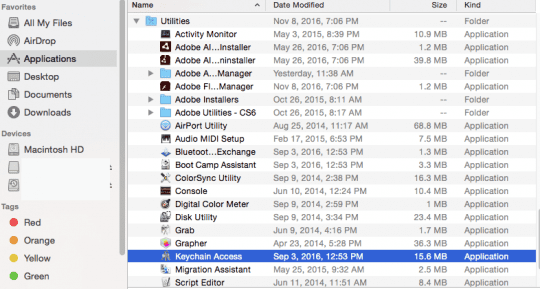 3. remove all facebook related objects from your keychain and restart your mac. 4. log on to facebook, you will be asked if you want to use this account for mac system integration, click on later. 5. in facebook go to settings -> security -> where you’re logged in -> delete all old session, especially the ones under “Apple OS Integration”. 6. clear safari cache and restart your mac. 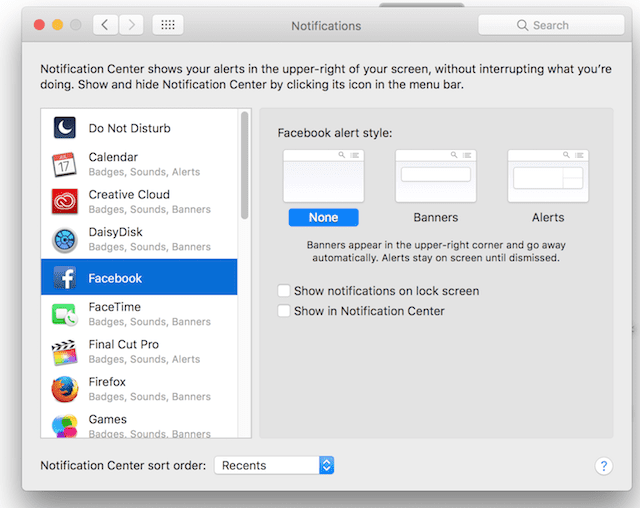 7. log on to facebook, you will be asked if you want to use this account for mac system integration, this time click ok and check the notifications setting, if everything ok, restart your mac once again. This worked for me, it seems facebook keeps old sessions still active, i had 67 active “Apple OS Integration”- Sessions and you will get a notification for every single one of them. If you use iOS devices and cleared evrything under the “where you’re logged in” tab, you have to put in your credentials on the devices again. Love this solution. And thank you so very much for sharing it with others in the same situation. We’ll add it to the article as a fabulous reader tip!